We have 364 consumer reports for treatment of Bipolar disorder with Abilify. 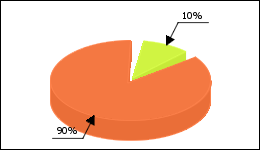 Bipolar disorder used in 9% of cases. The dosage must be exact. For me it is 2/3 of 15 mg ABILIFY in the morning. In the evening, add 1/2 25 mg of Seroquel. Sitting still is hard for me since then. But in comparison with lithium, my libido is OK again. I have been taking the drug for about 6 weeks now because of my bipolar disorder. Initially (the first two weeks of inpatient treatment, at that time I got 15mg), severe sedation, fatigue, tingling and trembling in the fingers, the feeling that there is no strength in the body. The intake took place in the morning around 8 o’clock and the side effects occurred mostly between 9 and 15 o’clock. In the afternoon it got better. Meanwhile, I take 10 mg, the tingling is completely gone, now and then slightly shaky hands. Tiredness persists about 1 hour after ingestion and then stops for 2-3 hours. All in all, I have the feeling that I can not really wake up … but that is probably true. The mood is better. No feeling of depression anymore. Isolated lows due to external influences, but at least no groundless depression. Okulogyre crisis taking Abilify; always in the evening about once a week occurred after an exhausting day in the form of convulsive upward movement of the eyes and very fast fluttering of the eyelids with closed eyes.